Anhanguera has also gained new front (rostrum) teeth (it looks a lot more like the fossil now), and brain cavities; I also improved the shape of the head and the eye cavities. The exhibit The Imaginary Pterosaur was transferred to a new museum, for only four days (SESC Centro, Campina Grande, PB, Brazil) during a multicultural event that happens during Carnival. It is flying over a garden facing the audience. After this exhibit it will travel back to São Paulo. 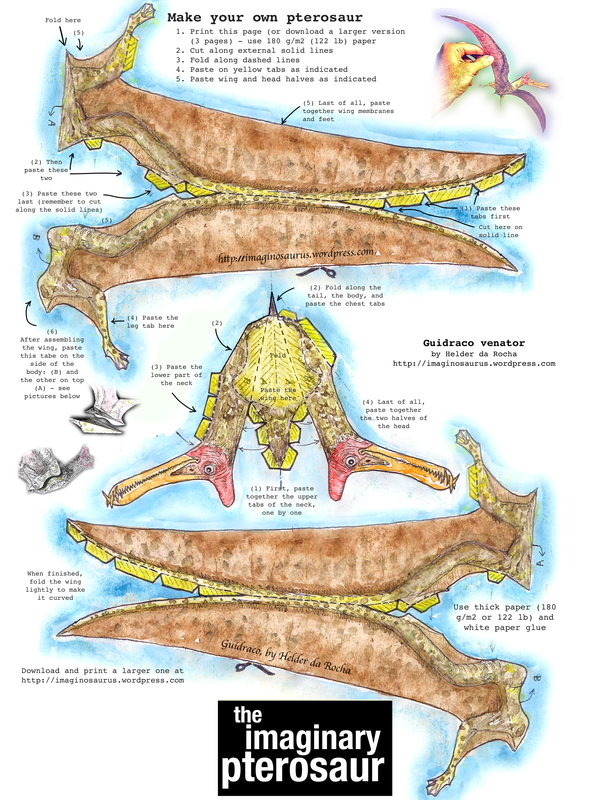 Guidraco fossil: Xialin Wang et al./Naturwissenschaften/Springer downloaded from Wired article. 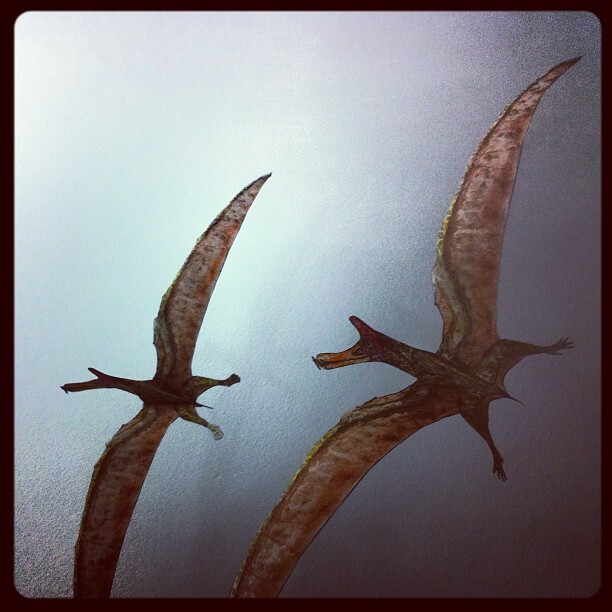 The Imaginary Pterosaur is imaginary, but it wants to be real. I started it as an art project, and it became a scientific model, so now whenever I have the chance of improving it, I will do so. I have received some suggestions and observations, which I will comment below. No Guidraco body was yet discovered, so we don’t really know if it has smaller wings, or larger ones. The scientists who described the skull estimate the wingspan in about three meters, which I believe are based on estimates for Ludodactylus. The Imaginary Pterosaur has a 4 meter wingspan, based on actual fossils of Anhangüera and Ornitocheirus (which are related to Ludodactylus). So the larger wingspan is not really an error, it’s just a theory. Of course, I didn’t study enough pterosaurs to defend such theories, but I promise I will fix it if necessary when a full Guidraco skeleton is discovered. 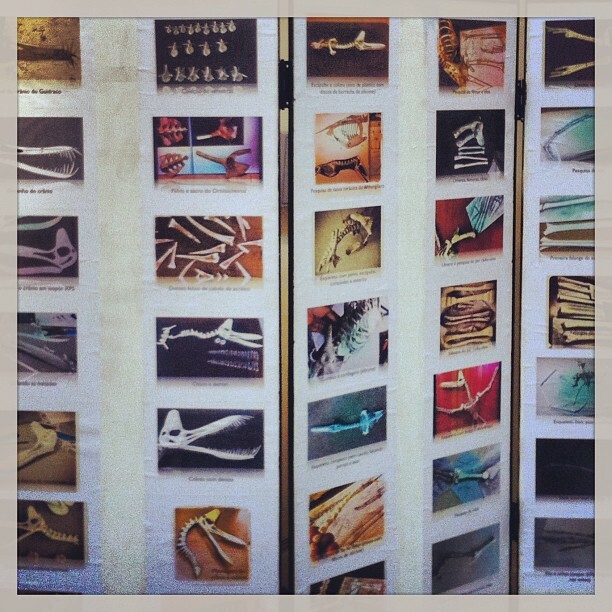 Small details about bones can always be fixed. Longer, wider, flatter. Perhaps my wing falange bones are too thick. Is that true? I haven’t seen enough wing bones to be sure, and the ones I saw could have been crushed, since they are hollow. It would be great to flatten some bones. The skeleton would become lighter! I will consider fixing that when I have good evidence (a well-preserved transversal slice, for example) that the wing bones were indeed much flatter. That is true. I mistakenly assembled the hands upside-down. Thank you all of you who pointed that out, specially David Peters for the detailed article showing how the carpals should be positioned. I plan to fix this as soon as possible. I am going to try a quick fix during the current exhibition. Any other suggestions are always welcome. 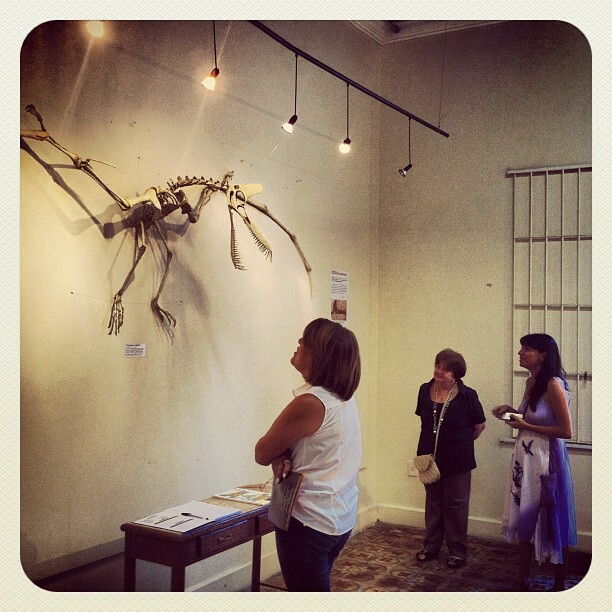 From January 18th to February 8th the Imaginary Pterosaur can be seen at Museu de Arte Assis Chateaubriand (MAAC) in Campina Grande, PB (Brazil). 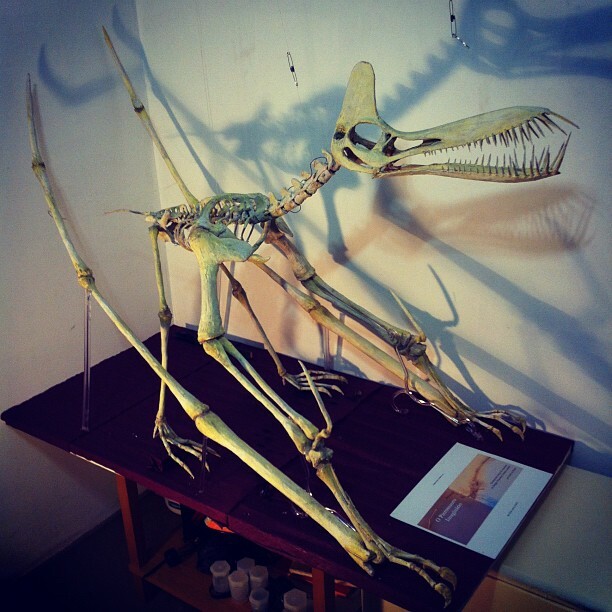 Besides the skeleton, the exhibit also includes educational panels about pterosaurs and paleontology, and a section with photos showing the process used to build the model out of foam. 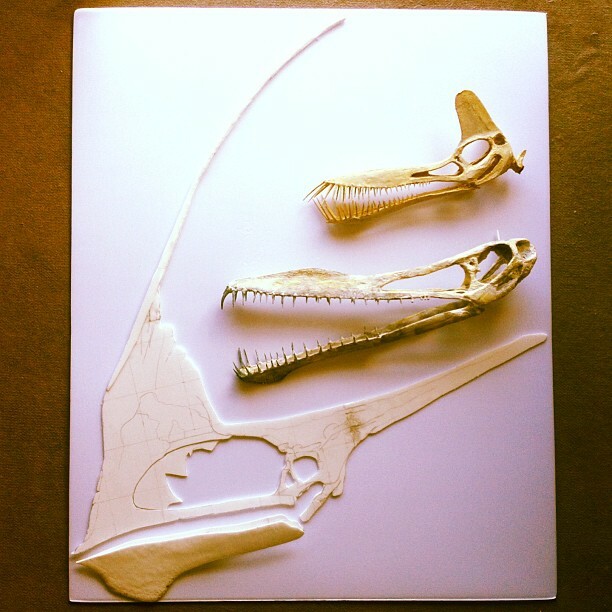 Visitors also get a free cut-out-your-own-pterosaur kit! Download the PDF below, print the three pages, cut out the parts, paste them together, and you will have your own Guidraco. For best results use thick 180 g/m2 paper (122 lb). Take some time to study the parts. Cut it out carefully. Fold as indicated and paste one tab at a time. It’s not so complicated but it does require some concentration. 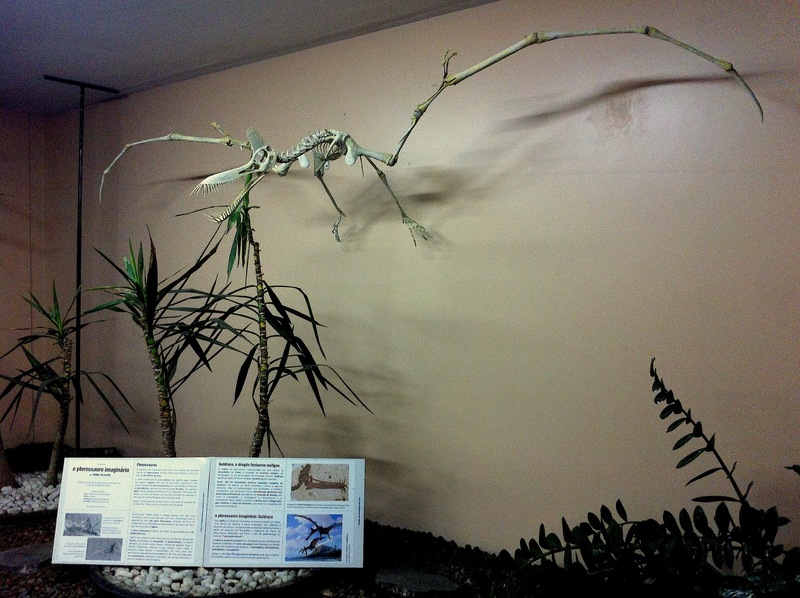 The pterosaur will have a wingspan of 50cm (20 in). It’s a bit harder to cut and paste. 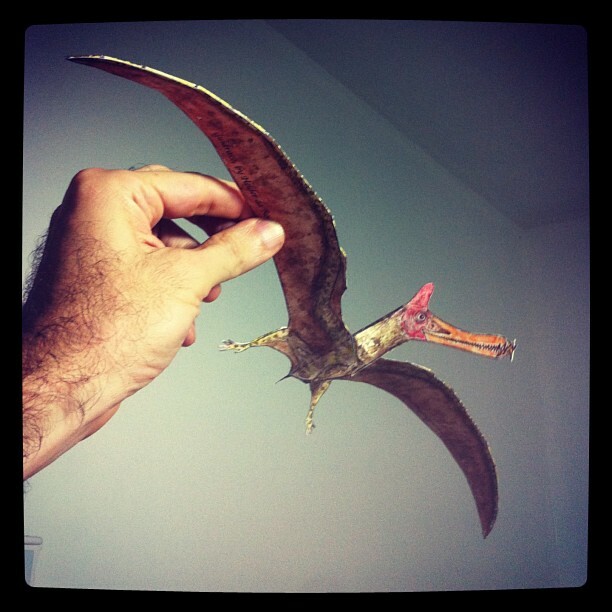 The wingspan is 30 cm (12 in) wide. The image above links to a JPG, which can be scaled to fit in larger pages. It is also available as PDF in borderless A4 format. Mustache & os Apaches starring Guidraco! 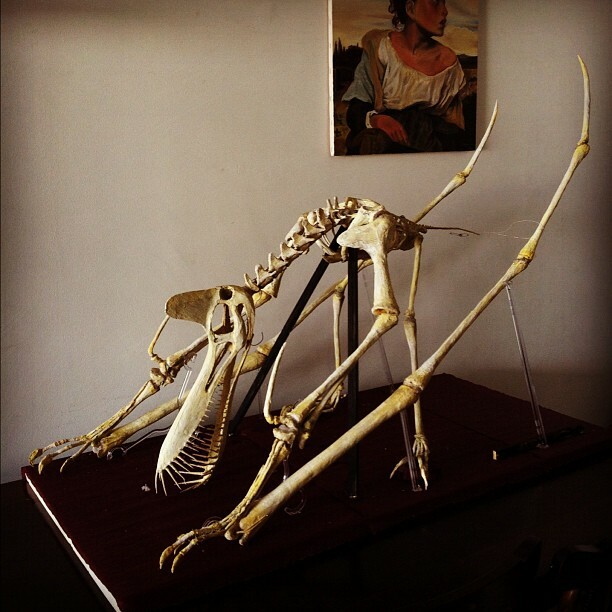 A videoclip from the Brazilian band Mustache & os Apaches shows a full-sized pterosaur skeleton hanging on the wall. 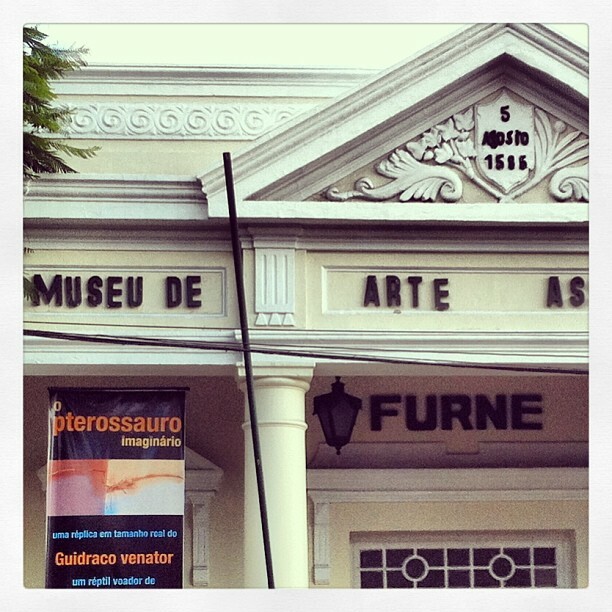 It was recorded during the Serrinha Art Festival and The Imaginary Pterosaur was used as part of the scenery.